RIVIERA NAYARIT, MEXICO – It’s an exciting time in Riviera Nayarit – Mexico’s pacific treasure and newest destination – as world class travel brands and investments are driving economic growth and expanded options for luxury travelers. In 2017, the destination experienced a widely successful year in terms of tourism, with revenue and occupancy reaching new heights and several developments launching. The trend is set to continue as several renowned hotel brands are scheduled to debut new properties in the destination through 2020. In 2017, tourism represented an incredible economic driver for the destination generating nearly $200 million in revenue. Riviera Nayarit maintained a hotel occupancy above 80 percent throughout the year, peaking at 87.4 percent in July. Four-star properties reported occupancies above 94 percent, a testament to Riviera Nayarit’s positioning as a luxury destination. 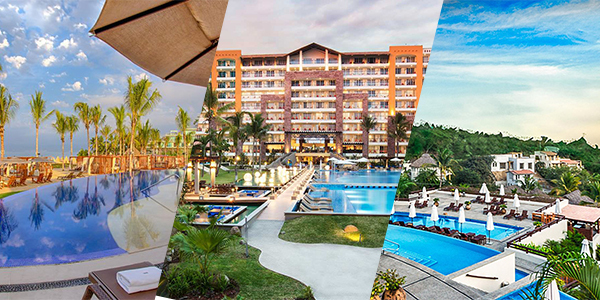 In February, Krystal Grand Hotels & Resorts debuted the new Krystal Grand Nuevo Vallarta, a 480-room, all-inclusive luxury resort in Nuevo Vallarta. The hotel also offers the largest convention center in the city, and can host up to 1,000 people. In December, Grupo Autofin Monterrey inaugurated the Grand Sirenis Matlali Hills Resort & Spa, a paradisiacal resort perched atop a mountain in La Cruz de Huanacaxtle. Marival Group also expanded their offerings in the area debuting MozzaMare Casual Beach Gourmet, a luxurious all-inclusive beachfront experience created for guests of Marival Residences Luxury Resorts. The second half of 2018 will welcome a renowned luxury hotel brand. Costa Canuva CIP is a development project underway that will eventually be home to five new hotels, adding more than 7,000 guestrooms to the destination and featuring the region’s first Fairmont property, slated to open this year. The seaside community will be located on more than 550 acres and will also feature a beachfront village with 2,500 residential units. In addition to a golf course designed by Lorena Ochoa and Greg Norman, Costa Canuva will offer more than four miles of shoreline and pristine beaches. 2019 is expected to be another exciting year in the destination. Grupo Vidanta will open Mexico’s first Cirque du Soleil Theme Park, an immersive water and nature park that will offer evening shows and capacity for up to 5,000 spectators. Rosewood Hotels & Resorts will debut Rosewood Mandarina offering 130 guestrooms, suites and villas and common areas with décor inspired by the local, pre-historic Huichole and Cora cultures. Also set to debut are the second stage of the Grand Sirenis Matlali beachfront development adding 140 suites, a 300-room Iberostar property in Litibu, and two Punta de Mita properties including Auberge Resort Collection’s ultra-luxury Susurros del Corazon and Conrad Hotels & Resorts’ redesign of the former La Tranquila Resort, Conrad Playa Mita. Debuting in the final quarter of the year, One&Only Mandarina will feature one of the world’s first collections of One&Only branded residences, One&Only Mandarina Private Homes, which will debut alongside One&Only Mandarina Resort, Rosewood Residences and Rosewood Mandarina, as well as the world-class Mandarina Polo and Equestrian Club replete with state-of-the-art polo grounds, dressage and jumping arenas, stables and more. Looking even further to Riviera Nayarit’s bright future, in 2020, AM Resorts is set to open Dreams Punta de Mita Resort and Spa and Secrets Punta de Mita Resort & Spa.